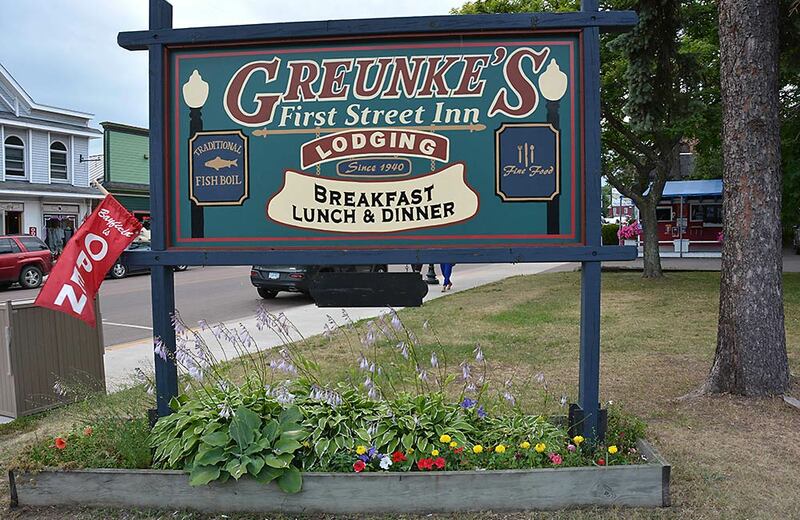 Greunke’s First Street Inn has twelve charming rooms. 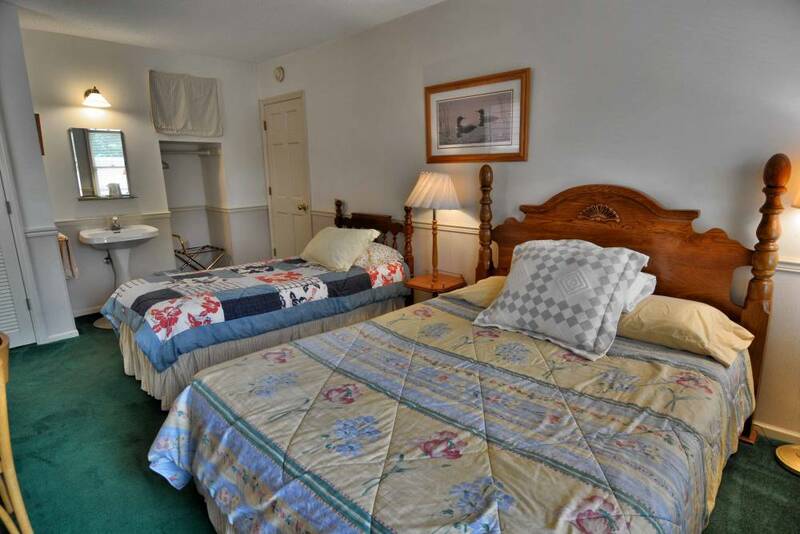 Six units have private baths, color TV, and queen beds. Two have queen beds with a half bed. Four rooms, reminiscent of the inn’s earliest days, have shared facilities. 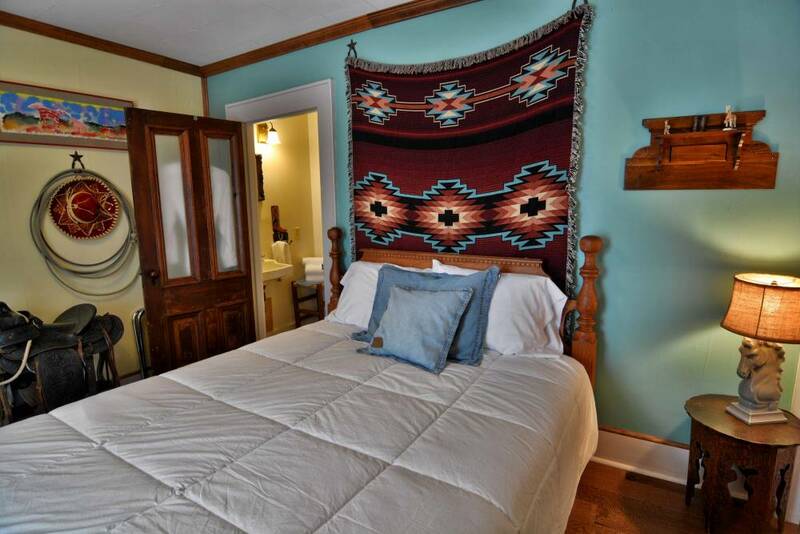 Offering affordable nightly rates for lodging in downtown Bayfield, Wisconsin. 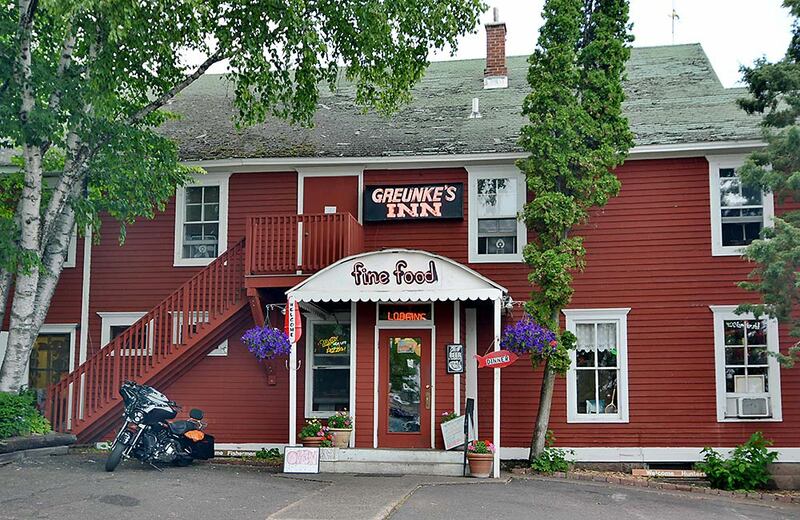 Centrally located in downtown Bayfield, Wisconsin, the inn is a short walk from Lake Superior, the Madeline Island Ferry, Apostle Islands Cruise Service excursions, town pool, shops and most of Bayfield’s attractions. Shuttle service available to Big Top Chautauqua shows. Please visit the Bayfield Chamber of Commerce & Visitor Bureau for more information. First Street Inn is two of Bayfield’s oldest and most historic structures; the LaBonte House built in 1863 and the Wachsmuth House in 1880. There are seven rooms in the LaBonte House on the second floor above Greunke’s Restaurant. 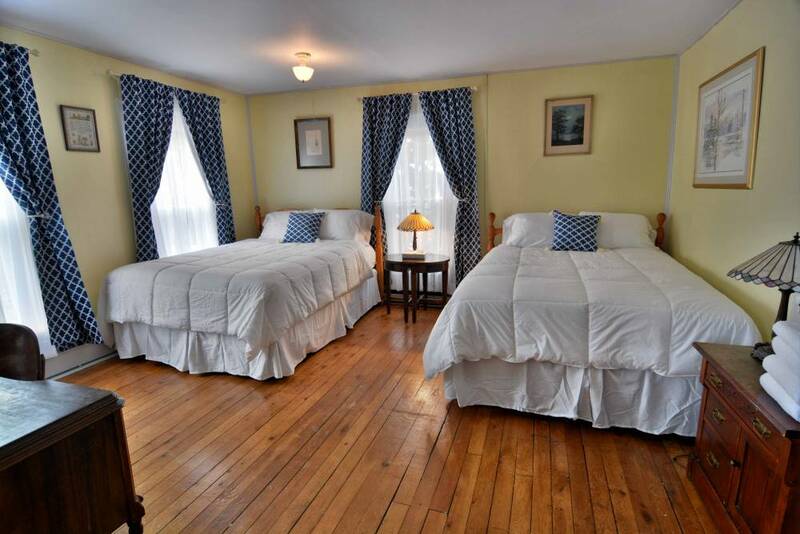 These rooms are reminiscent of the inn’s past, furnished with pieces from earlier years. Some have a queen size bed, others have a queen and twin, and there’s a large suite with three queen size beds, private bath, loft, color tv and wet bar. Guests at the LaBonte House also have access to a porch overlooking Bayfield’s North First Street. Lodging in the Wachsmuth House are in four restored rooms, each on the second floor and named for one of the Apostle Islands. They have private baths, air conditioning, plush carpet, color tv, down comforters and access to a porch overlooking First Street. Bayfield, Circa 1865. An ambitious young man, of French-Canadian descent, secured the property at 17 North First adjacent to the Hotel, for his residence as well as vocation. Nazar LaBonte, some years later heartened by his own as well as the village’s success, set out for St. Paul. Along with a contingent of businessmen and entrepreneurs, LaBonte convinced the railroads of the peninsula’s potential. Part of the deal was a commitment that would take 6 years to meet. As Nazar helped organize the labor, the railroads provided the resources. In the meantime, the LaBonte House welcomed its first guests. Numbers swelled the village into a town. The boarding house and the LaBonte family residence, between the Hotel Bracken and Whisker Wachsmith’s tobacco shop was doing brisk business. Today these historic buildings are combined into Greunke’s First Street Inn. 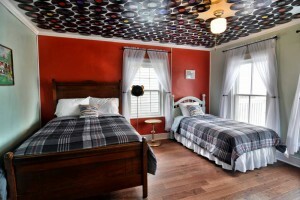 The Inn has been listed in the directory of Historic Wisconsin Inns and Harvard’s Let’s Go Guide to the United States. 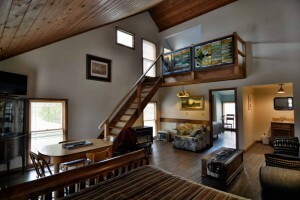 All lodging (except Wildrose) is located on the second floor (stair access only). 1/2 bath is a stool & sink.